Rain gutter installation in Washington, UT: Installing the proper precipitation draining systems for your home or your business helps to prevent any storm damage and helps to increase safety. At Rowley’s Rain Gutters, we understand the importance of having the right rain gutters for your needs, your property and your budget. Our highly skilled staff will expertly install any type of drainage system, including seamless gutter installation in Washington, UT. 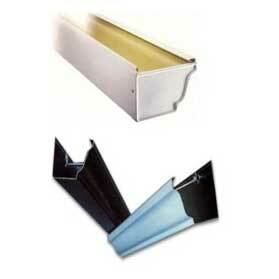 Rain gutter cleaning services: Cleaning your rain gutters can be difficult and maybe even a bit cumbersome. For these reasons, it often gets pushed back further and further on the to-do-list, until it is forgotten about all together. It’s vital to keep your rain gutters cleaned of debris and well maintained, and at Rowley’s Rain Gutters, we will make it as easy as possible for you to do so. All it takes is one quick call to 435-680-6671 for a free estimate on any type of rain gutter services. Seamless rain gutters: If you’re looking to preserve the pristine aesthetic of your home’s exterior, while also protecting your roof and façade from rainwater runoff, seamless gutters in Mesquite, NV are an optimal choice that will yield superior results. These gutters are long lasting, thanks to their seamless composition, and can also be tailored to meet the exact color specifications of your home, contributing to a singular visual experience that’s prestigious and sophisticated. With minimal service requirements and flawless composition, seamless rain gutters in Mesquite, NV are a superior choice for any concerned homeowner in the Washington County and St. George areas of Utah, as well as in Nevada. Rain gutter repair: Much like our roofs bear the burden of constant weathering, so do our rain gutters and rain jettisoning systems. If your gutters have suffered from cracking, misalignment, warping or other ailments that may impact their ability to serve your home, calling for rain gutter repair in Mesquite, NV is paramount. Our trained professionals are experienced in all facets of gutter repair in Mesquite, NV and can address any type or style of gutter system to make the necessary repairs that will restore it to perfect working order. From systems that are slightly damaged to gutters that have been thrashed by years of loyal service, trust us to be your repair specialists in the Washington County and St. George areas of Utah, as well as in Mesquite, NV. At Rowley’s Rain Gutters, we are ready to assist you with all of your rain gutter needs, from cleaning any seamless gutters in Washington, UT to installing just the right drainage system for your residential location. Call us today to learn even more about our affordable prices and about how we can change rain gutters from something you avoid to something you no longer have to worry about.